At SeyfarthLean Consulting, our mission is to help clients meet emerging and evolving challenges: with big ideas, new approaches, and diverse competencies. SLC’s consultants are technologists, business strategists, data analytics specialists and process improvement professionals. Together, they design and build solutions to optimize legal services delivery, law department management and use of inside and outside counsel. 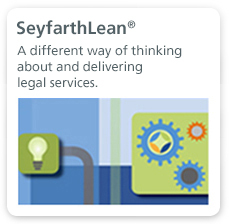 Drawn from the principles of Lean Six Sigma and adapted to the practice of law, SeyfarthLean is a discipline that translates our client-centered thinking into measurable performance, at scale. For clients, the results are reduced costs, greater predictability and transparency, more efficiency, better use of technology and better legal and business outcomes. 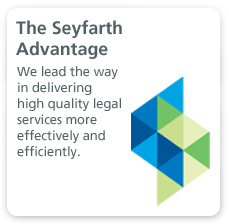 SeyfarthLean Consulting is a wholly owned subsidiary of Seyfarth Shaw LLP. We don’t practice law. We improve the practice of law. 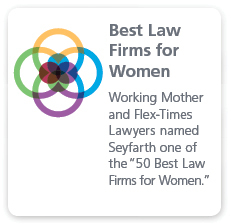 Seyfarth recognized as one of the world's most innovative law firms for the 7th consecutive year.